A veteran of the worlds of marketing and journalism, Penny Cadrain is from the Prairies, but has been getting a sense of other parts of the world for decades. The best thing about Media Indigena she thinks is the number of trees saved. A look at the zero-sum battle between Money-and-Pipelines versus Environment-and-People. 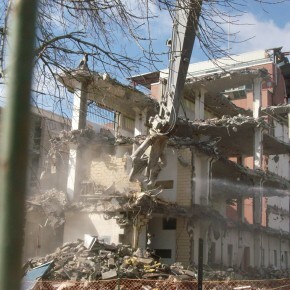 Portrait of the demolition of a legendary prison and detention facility.